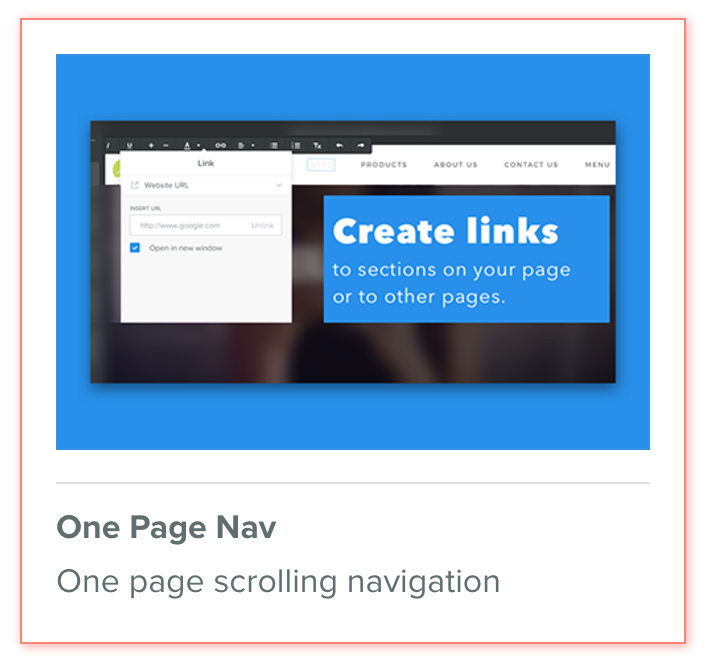 ​With the One Page Nav you can create long one page sites that have a navigation menu that will take the user to a specific section on the page with a nice smooth scrolling effect. The One Page Nav also allows adding navigation items with an external link. Smooth scrolling responsive navigation menu for long one pages created on the Birdseye themes. checkCreate links to sections on your page and/or links to other pages. checkThe navigation includes the necessary styling options to match your theme or preferences.